Look what I dug up! A personal favorite of mine from the Das Donkey team. Enjoy! Thanks to Wii who made this awesome texture. All credit goes towards him. I'm simply re-uploading. A new character selection screen specifically made for Project M! 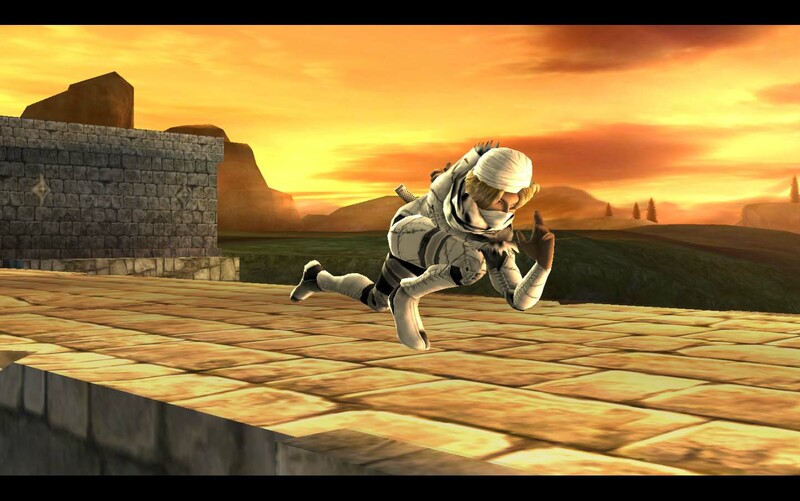 The version of Project M being used is 3.02. *Character Icons were inspired by Miraj. *Credit to ASF1nk for the animated background. *Credit to SJS for the amazing character selection portraits. Purple Swirling Vortex CSS & SSS w/ no codes required! Zelda/Sheik triforce emblem portraits created by me. 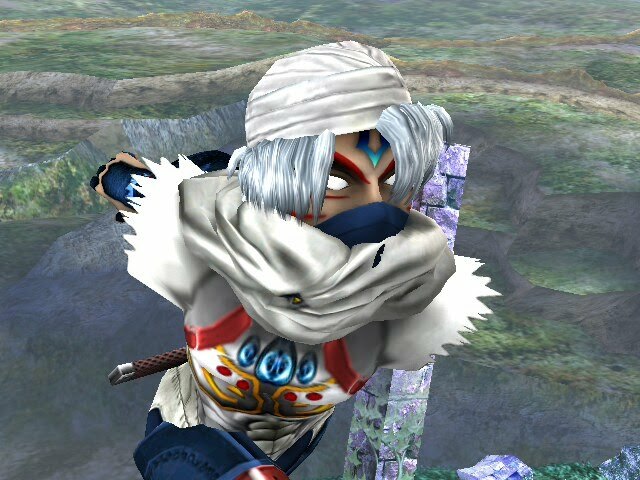 I've seen players get confused over selecting Sheik at the start of a game so I added an emblem to hopefully help with that problem. Just select the emblem to switch between both characters. Ice Climbers CSP's correspond with the lead Ice Climber. 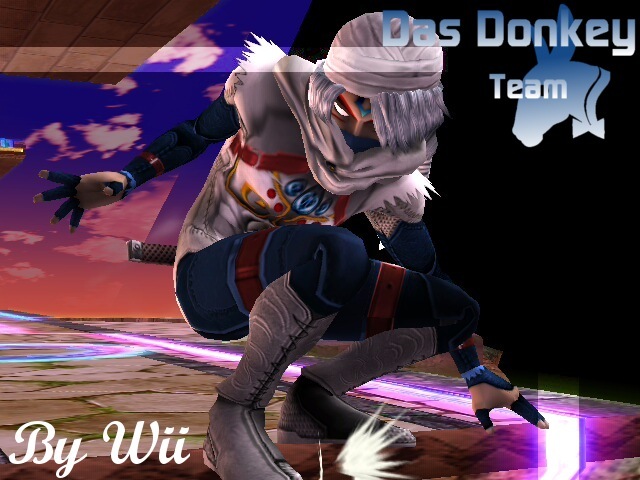 ex: Default Ice Climber has Popo in front for the CSP and White Ice Climber has Nana in front for the CSP. *Credit to Miraj for the character selection icons. Look what I dug up! A personal favorite of mine from the Das Donkey team. Enjoy! Thanks to Akari_Un who made this awesome texture. All credit goes towards him. I'm simply re-uploading. * Update: Fixed collisions on sides to assist recovery. * Update: Platforms now timers instead of random. * Shy guys have been changed to fairies. 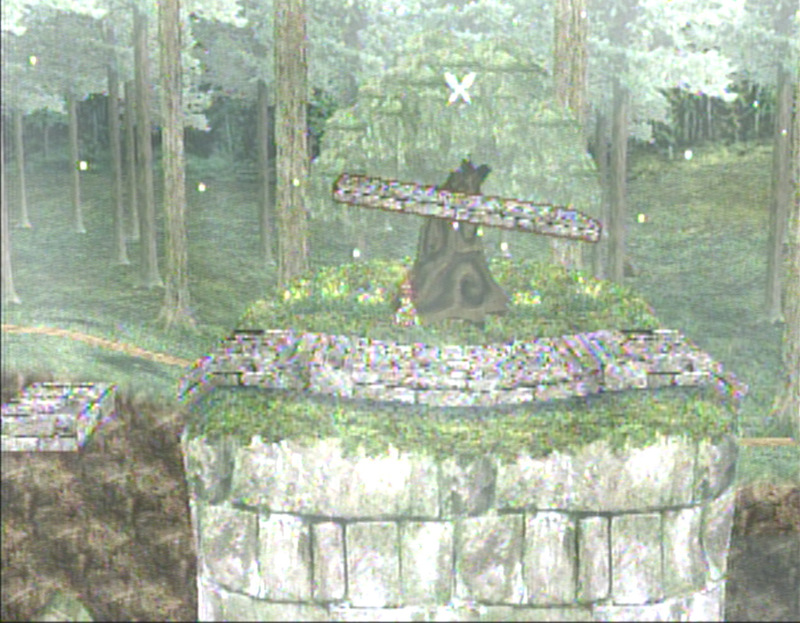 * Removed the body from the platform guys on the left and right so it's just a platform. * Added in the skull kid (thanks to Beyond) with a minor animation. I have a bunch of unreleased textures in my SD card so from now on I'm gonna be releasing them little by little. This was my brother's personal Meta Knight texture that I made for him. CSP is included and this will not desync wifi. Please Enjoy! 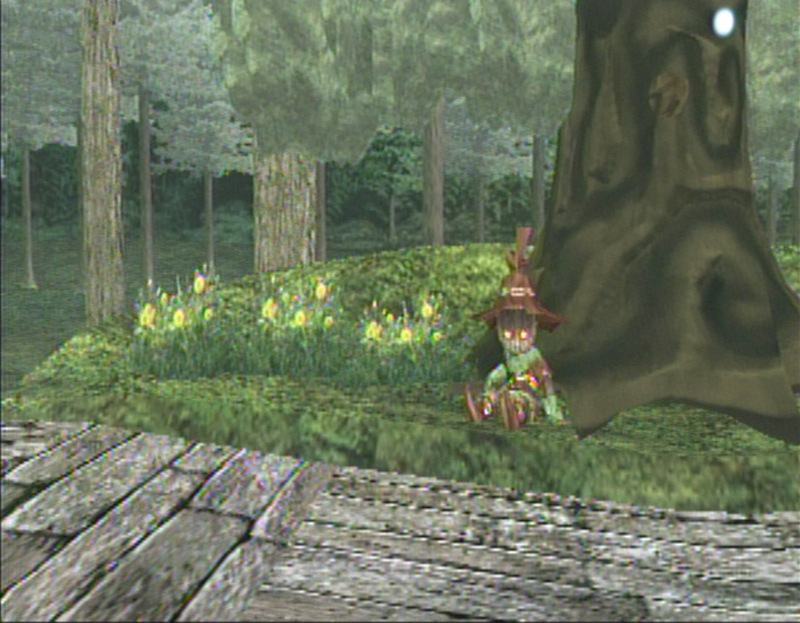 Special thanks to Akiro for helping me with the background model swap. This a beta version my "Nighttime Sakura Final Valley Destination" with the use of OizenX's Final Valley import. There is still one bug with the waterfall. If anyone knows how to get rid of it, please let me know. Izaw asked me to make a Smashville version of SuperGuzzi's "Battlefield Intro" so that's what I did here. Everything is animated and this doesn't freeze or desync wifi. SSP's are included, Enjoy! Finally I made a Battlefield stage that won't desync whatsoever. Basically I just took the Icy Battlefield texture and I built off of that. So credit to Johnlcb, Mit, and FrozenHobo for the model. Also credit to rihuganon for some textures I borrowed. I found this stage texture a while ago and wanted to create a tropical scene for it. Thanks to EpicLawl from AiB for helping me locate it. If anyone can tell me who originally created the stage, please do so I can give them proper credit. I put in some minor edits to make it a bit more cleaner and neater and thus came "Tropical Field". Also thanks to Slither2Hunter for winning the vote for the name of the stage. Lastly I want to thank everyone in AiB that participated in helping me decide what the name for this stage should be. SSP's are included and this WILL NOT desync wifi. Please Enjoy! *I realized I can fix this up a bit to make it look cleaner. When I finish it, THEN it will be the final version. After I made the Bloodlust Swordsman I was thinking why not make a duplicate version on Toon Link. Well here he is, Toon Bloodlust Swordsman. This took a while to make but it was all worth it. Credit to Akari_Un for some textures and Marty McFly for the Young Link shield texture. It's just a texture so it doesn't desync wifi. CSP is included, enjoy! *Desyncs with three or four players, doesn't desync one on one matches. I don't know why, oh well. I made this during December when I was bored so I thought I would make a Winter based stage. So I present to you "Phendrana" from Metroid. What I basically did was take anything Ice or Snow related from Brawl Vault and combined them all to make one stage. Ironically, it started to look like Phendrana from Metroid. 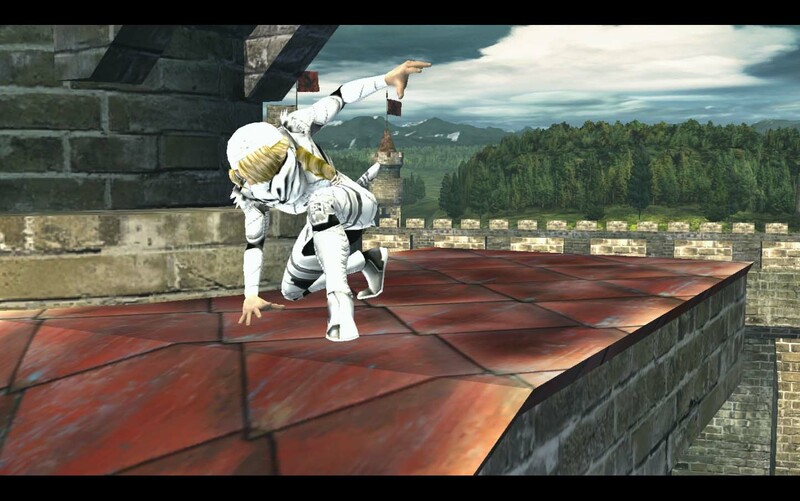 Credit to Johnlcb for the background model and Rihuganon for textures of the stage. SSP's are included in download. Enjoy! The final version of Tabuu's Corruption has been released. I changed the lighting to give it more of a "Tabuu" feeling and I left the original Final Destination texture as it was. The first version of this stage is in the download pack, just in case you like it more but SSP's are not included, only for the final version. Since it's just a texture it doesn't desync wifi, doesn't freeze, etc etc. Have fun with it. I said I wasn't going to upload anything else onto the Brawl Vault but I somewhat got pressured into releasing some of my work. Here's a stage I made, Skyland Cruise! I didn't like any other textures for Rainbow Cruise so I made my own. 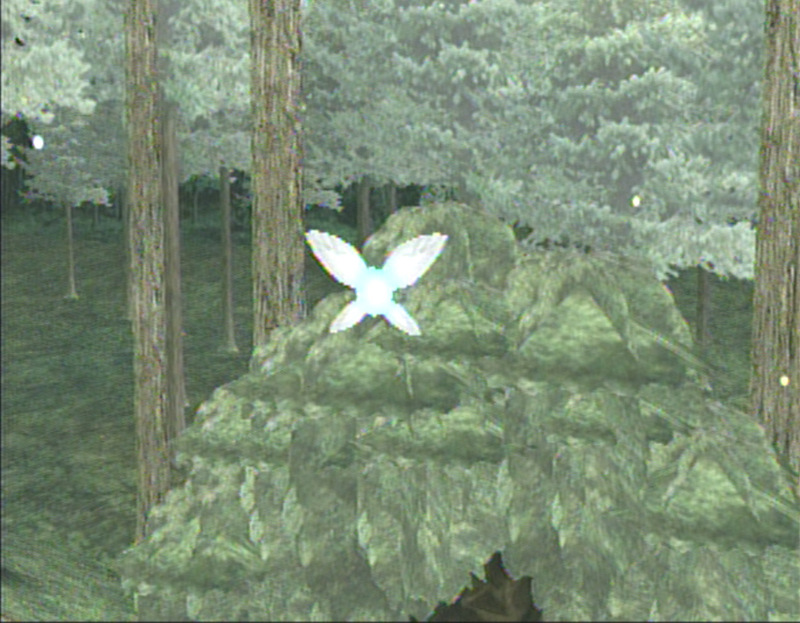 Credit to rihuganon for his Sky Wind model from his Sky Destination. I kept the original Rainbow Cruise textures because I felt it matched more. Enjoy! SSS portraits are included, doesn't desync wifi. *Thanks to _Data_Drain_ for the video. This is the most work I've ever done on a single stage. So much editing and model importing was done that it took a long time to get finished. What inspired me to this was flamegoop's original Lost Woods Yoshi's Island, I wanted to improve on his idea. Thanks to LenSho who helped me with the Whispy Tree model problem I had and credit to Johnlcb for his background swap and whispy tree texture. This is by far the most realistic Yoshi's Island texture available. I pretty much stripped everything cartoony out of it. The only thing left is the highlight surrounding the platform =/, if anyone can help me rid of that I would greatly appreciate it. Download includes SSS portraits and doesn't desync wifi. *Does not work with Pokemon Trainer, it will glitch really bad. Brawl. I planned to add more models to the stage but I guess models and Frigate don't work too well together. I was lucky enough to get the blood model to work, big thanks to OizenX by the way. All and all I'm really pleased with how it turned out. Download includes SSP's and this shouldn't desync wifi. Enjoy! *the final version have markings on their faces, like my other bloodlust textures, and are slighty darker. the pictures do not show that but the CSP's do. After I redid my other Bloodlust textures I wanted to remake this one. Unfortunately I really didn't have any time to sit down and work on him for a while. Well now I did, so here is the second version of Bloodlust Swordsman/woman. Yes, woman. After seeing Black Boo's vertex of female Link, which is incredible by the way, I had to make a female version of this texture. So big credit towards him for the female version. Also credit to Marty McFly for the Young Link shield texture I took. And lastly, credit to Akari_Un for using his texture as a base. CSP's are included and they don't desync wifi. Enjoy! I thought Smashville needed a change from all of the bright, colorful, and SSBB related textures that we have. So I give you, Daigo Village! I even added snow to the stage to give it a dramatic effect, haha. Big thanks to DSX8 for allowing me to use his import and credit ti ChibiIceClimberz for helping me figure out how to remove the rooftop from the model and how to fix models in general. Download includes SSP's of course and it shouldn't desync wifi since it's only a background swap with just snow added. Hope you like it, enjoy! Looks like Yoshi traded in his island for something a hella lot better. Welcome to Yoshi's Stream. I used rihuganon's import as a base. I textured everything to match the background and had it look more realistic and less cartoony. But, you know, just enough cartoony to make Yoshi feel right at home ;D. SSP's are in download and this won't desync wifi. Hope you like it. Enjoy! Fountain of Dreams. My favorite stage from Melee. It took me a while to figure out how to import Skyworld's background into Battlefield but I got it working with all animations. Big thanks to BlazingKatakiri for allowing me to use her Fountain of Dreams stage texture :) Download includes SSP's and a custom Fountain of Dreams BRSTM, all made by me. The BRSTM doesn't loop because I don't know how to do that stuff, haha. And another bonus... it doesn't desynch wifi! I hope you'll have fun with it, I know I will. Enjoy! *umm, brstm is fine. go figure. More scary and creepy looking than my Bloodlust Assassin, I give you "Phantom Assassin"
CSP and Battle Portrait now included in download. 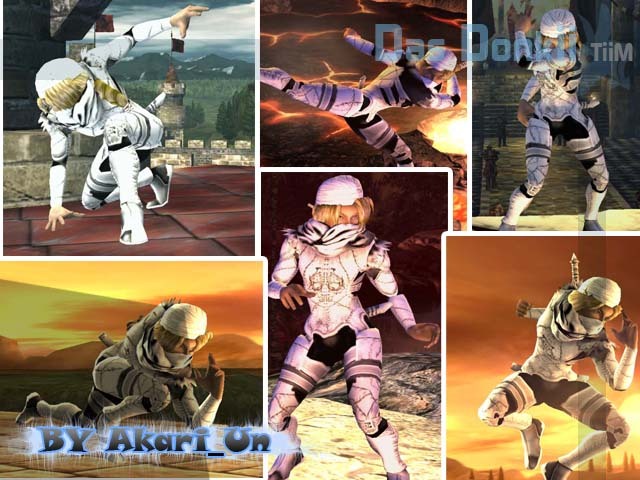 *credit to Wii for textures from "Grant Danasty"
A colaboration between Chuy and Akiro. Lulu from Final Fantasy. I used Julz texture for Lulu as a base for this and added Rosalina's hair. The most accurate hack of Lulu so far. Page created in 0.656 seconds with 137 queries.